Given the discouraging and often appalling level of debate on health insurance in America, it was refreshing to view the PBS Frontline broadcast “Sick Around the World,” a documentary that dispassionately analyzed different health care systems from five developed countries: Britain, Japan, Germany, Taiwan and Switzerland. The program originally aired during the presidential campaign of 2008, but, given the current country-wide debate regarding health care, PBS executives thought a re-broadcast would be appropriate, and they were right. You can view the entire program online here: The veteran Washington Post foreign correspondent, T.R. Reid, wrote and hosted the program. After the program aired, Reid kept working on the global health care issue, and in August, 2009, Penguin Press published his new book, The Healing of America: A Global Quest for Better, Cheaper and Fairer Health Care. Neither his Frontline program nor his book have the vitriol or cynicism of Michael Moore’s “Sicko,” which Reid suggests did a good job of showing what is wrong with America’s health care system, but a poor job of showing what is good (and bad) about health care in other nations. In Moore’s piece, any other health care system is in every way better than America’s. Reid does not make that mistake. He just lays out the facts and lets the viewer or reader come to easy conclusions. At Lynch Ryan, we’re vitally concerned about American health care, both personally and professionally. Personally, because we believe that high-quality health care is a basic and essential right for all Americans; professionally, because nearly 60% of workers’ compensation losses are spent on medical treatment. Workers’ compensation is the tiny caboose at the back of the great big American health care train. 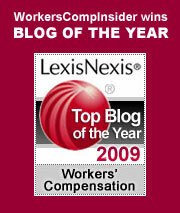 In March, 2008, I published “The Best Health Care in the World” as a series of essays in our Workers Comp Insider. In it, I tried to compare health care in America with that of the rest of the developed world, the other twenty-nine countries that make up the Organization for Economic Cooperation and Development (OECD). In Sick Around the World, T.R. Reid cites the same statistics I did, but focuses on five countries within the OECD that have systems different from America’s and mostly different from each other. However, unlike America, each of them has universal health care and achieves results that are better and cheaper, sometimes far better and cheaper, than ours. First, he examines Britain, the system most Americans who don’t know any better like to belittle, but whose population has somehow managed to have a life expectancy that is two years longer than ours. Reid treats the British system with great respect. Why? Because as a reporter he lived there, and his family routinely used the National Health Service. He found the care exemplary and never paid a dime for it. It’s a government owned and operated system, and all prices are set by the government. And, lest you think that it would be intolerable in America, you should know that it is exactly the system used by our Veterans Administration. Year after year, the VA significantly outdistances the private health care sector in patient satisfaction, as measured by the University of Michigan’s American Customer Satisfaction Index . Patient satisfaction in the private sector has been increasing over the last few years and has a current score of 77 out of 100. The Va’s 2008 scores, on the other hand, are 89 for retirees, 85 for inpatients and 81 for outpatient clinics. And at 3% administrative costs, the VA provides quality medical care much cheaper than any other health care program in America. Next, Reid traveled to Japan where the population lives five years longer than ours, 82.1 versus 77. Somehow, despite those mortality figures, much longer hospital stays, three times the number of CT Scans and 30% more MRIs per capita than in the US, Japan spends only half as much of its GDP on health care as we do: 8% compared to a whopping 16%. Japan uses a “social insurance” system with citizens either getting insurance through their employers or through community-based non-profits. The average family monthly premium is $280, and employers pay more than half. Costs are kept down, because every two years the government negotiates the price of every singly procedure, something our congress refuses to allow. Moreover, there are no gatekeepers; the Japanese can see specialists whenever and as often as they want, and waiting periods are insignificant. Finally, because Reid also lived and worked in Japan for years (he even speaks the language), he once again offered the personal perspective regarding the high satisfaction he and his family experienced within the Japanese health care system. After Japan, Reid wandered to Germany, the country with the very first “social insurance” system, created by Otto von Bismarck, the Iron Chancellor, in the mid-1880s. Germany’s citizens live two years longer than ours, and the German infant mortality rate is about half that of the US, yet the country spends less than 11% of its GDP on health care. The average family premium is $750 per month, but premiums are pegged to patients’ income. Germans buy insurance from one of 200 non-profit “sickness funds.” Co-pays are about $15 paid once every three months. The “funds” cannot discriminate in any way; for example, through pre-existing conditions, age, demographics, medical history, etc. Germans like their system, although doctors, who are paid only about two-thirds of what their American counterparts make, would like to earn more. However, malpractice insurance is a non-issue and many doctors attend medical school for free, obviating any need to repay a huge school loan, as most US doctors must do. Staying in Asia, Reid hopped a plane for Taiwan. Why Taiwan? Because its system was created from scratch in 1995, only 14 years ago. Prior to that, the Taiwan health care system was third-world at best, but in the late 1980s and early 1990s its economy grew, propelling it into the ranks of wealthy nations and giving the country the chance to build an entirely new health care paradigm. The Taiwanese were very systematic in designing their health care program. They hired Harvard Professor Bill Hsiao to examine and analyze all of the systems in the rest of the developed world (Why can’t we get guys like that?). On his recommendations the government then crafted a sort of smorgasbord of a National Health Insurance plan, although, fundamentally, it’s based on the Canadian system. Every citizen has to buy insurance, but there is only one insurer, the Taiwanese government. This keeps premiums down to about $650 per year for a family of four. Employers split the cost of the premiums with their workers. Where the Taiwanese really excel, however, is in their embrace of technology; it’s a paperless system, because every citizen has a “smart card,” which stores medical histories and bills the government insurer for services. Like America’s VA, the entire country is on an electronic medical record system, and that is one of the big reasons that Taiwan manages to achieve excellent health care results while spending only 6.3% of GDP on health care. Admittedly, when you’re creating something from next to nothing you don’t have to go to war with rich vested interests; there are none. And that’s why Reid went to Switzerland. Prior to ten years ago, the Swiss health care system closely resembled America’s, warts and all. Not only that, Switzerland is home to a lot of insurance and pharmaceutical companies. But a decade ago, the Swiss had an epiphany: they decided that quality health care is a basic human right, and the country’s elected officials decided to redesign the system, which they concluded was discriminatory and costly. It wasn’t easy. They faced many of the same arguments that now float over and suffocate America. Ten years later, the Swiss still have, per capita, the second most expensive health care system in the world, but it’s still 25% less than America’s. They have achieved universal health care coverage. Insurance premiums are $750 per month for a family of four, paid entirely by consumers, but the government subsidizes low income citizens. Insurers cannot make a profit on basic care and have to accept everyone. They negotiate prices with doctors, but the government sets the price of drugs. In America, health care plays a significant role in about 50% of bankruptcies. When Reid was interviewing ministers from each of the five countries, he asked if anyone in their countries ever went bankrupt because they couldn’t afford health care. They were aghast at the thought. It could never happen, they said. And none of them could understand why it would be allowed to happen in the world’s richest country. Neither can I. In America, health care has become a commodity, market driven enterprise. Throughout the rest of the developed world, it is an essential human right; something governments were created to provide and protect. In America, legend and myth influence many of our citizens, who feel that any government intrusion into health care will lead to draconian tactics typical of a fascist state. They don’t seem to realize that our Veterans Administration health care, treating millions of our veteran heroes every year, is a direct copy of Britain’s. Or that Medicare, our largest insurer with more than 36 million members who, in poll after poll, report high satisfaction with their health care, is modeled on the health care system of Canada. Maybe our American health care house that Jack built, what T.R. Reid calls a “badly fragmented crazy quilt system,” is just too big to be redesigned into something we could all be proud of. But when I’m tempted to say, “A plague on all their houses,” I think of the Taiwanese, who went from nothing to one of the most technologically advanced, yet inexpensive, health care systems in the world in just fourteen years. And I think of the Swiss, the bureaucratic, economically driven Swiss who have come to see high-quality, affordable health care as the absolute right of every Swiss citizen. If these two totally different countries can do that, I ask you, why can’t we? This entry was posted on Monday, November 16th, 2009 at 11:36 am	and is filed under health care. You can follow any responses to this entry through the RSS 2.0 feed. Both comments and pings are currently closed.